My 2012 work of Metaphysical Philosophy is still available as either paperback or Kindle eBook from Amazon.com. The paperback can be found at http://www.amazon.com/gp/product/0982747047/ref=pe_11480_22634170_emwa_email_title_1 and the ebook at http://www.amazon.com/dp/B006ON3DCO If you don’t have a Kindle reader you can download the software for free to your computer from Amazon.com. Our world is not about to end. Despite the claims of the fearful; despite the ancient prophecies; and despite the chaos seen in every corner of our lives, the earth will continue to turn and most of us will still be here after December 21, 2012. Our world is changing, though. When the current chaos settles down we will all find ourselves living in a very different environment from anything we have known before. Our politics and governments; our financial situations; our weather and climate; the way we work; and every aspect of our personal lives will have changed. After a lifetime of observation and study I believe I have discovered a rational explanation for what’s happening in our world at this confusing time. I have also developed a logical and common sense understanding of the nature of our universe and our purpose in this experience we call life. This book is my offering of a different way of thinking about how we have been living and how the changes we are seeing in our world represent a positive new way of thinking and behaving. I ask you to keep an open mind while reading it, and to consider that there may be some new truths in what I have written. If you open any book with the date 2012 or the word apocalypse in the title, you might think we are all about to become toast. Many of these books convey terrifying messages of imminent doom and prophesy of global calamity. Television shows and movies feed our fears of extraterrestrial invasions, government conspiracies, and hidden dangers. An Internet search will reveal even more frightening information, with references to the Hopi Map, the Mayan calendar, the biblical Book of Revelation, and predictions made by the medieval doctor and astronomer, Nostradamus. These ancient prophecies have often been interpreted to predict a cataclysmic end to our earth and all living things on it around the turn of the millennium or, more specifically, on December 21, 2012. Some predict the end will come in a nuclear holocaust that will wipe us all out. Others say we will be hit by an unprecedented worldwide earthquake, or by an asteroid that will shroud the world in darkness or knock the planet out of its orbit. Scientists tell us that asteroid collisions have happened many times in the past—one of these events was most likely responsible for killing all the dinosaurs some sixty-five million years ago. The doomsday scenarios may have been misinterpreted, or they may have been correct but are no longer valid because something changed. I believe we are now experiencing a fundamental shift in planetary energy that is changing the way we think, the way we act, and the way we live our lives. 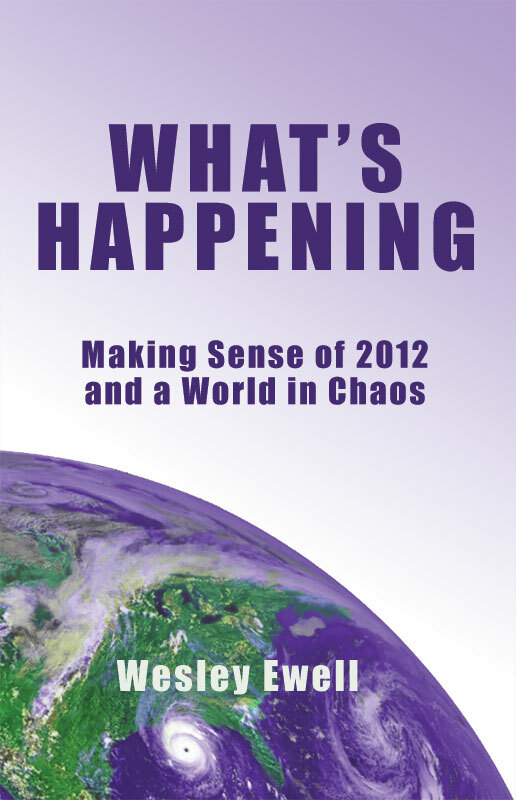 We are seeing chaos and destruction all over the planet, but nothing so dire that it suggests the end of our world. This may not be Armageddon but it might be the apocalypse. Armageddon is the violent end to all life on earth. But the word apocalypse is derived from the Greek word ápokálypsis, which literally means revelation of that which is hidden. Metaphysicists tell us the apocalypse is not the end of the world but a time when the barrier—or veil—between our physical world and the spirit world is eased, allowing us more direct access to spiritual knowledge, personal enlightenment, and unusual abilities that have been hidden from us until now. There can be no question our world is changing in ways we have not seen before. And the changes that we hear about daily can be frightening and confusing. Our weather seems to have gone crazy. Earthquakes, volcanic eruptions, tornados, floods, hurricanes, firestorms, and other natural calamities appear to be overwhelming us. Governments and national boundaries are shifting. Political affiliations and policies are moving in new directions. Hubris, greed, and mismanagement are crippling businesses and economic institutions that were thought to be unshakable. Secrets and unethical behavior are being exposed as never before, not only bringing down leaders in business, government, and religion, but also affecting our individual lives and personal relationships. Our churches are struggling to remain relevant as their adherents seek more direct and meaningful spiritual nourishment. Traditional views of marriage and other relationships are being questioned as never before. Individuals and institutions that dominate or control the behavior and thinking of others are meeting with rebellion, rejection, and disobedience—or simply being ignored—especially by the younger generation now becoming adults. Women are moving into positions of authority and changing the way businesses and governments are managed. People of all ages are shedding the roles and images that others have imposed upon them. We are beginning to see through the lies and misrepresentations of our political and religious leaders. The young people now emerging into adulthood are quietly living by a different set of ethics, more concerned with issues of social justice and personal fulfillment than with acquisition of material things and any concern about the behavior of others. They seem to be more secure and confident in themselves and their lives than their parents and grandparents were at that age, even as jobs and social safety nets are being threatened. What’s happening may not be the end of the world as predicted, but the end of the world as we have known of it. This may not be the end of civilization, but the beginning of an entirely new world-wide culture. We appear to be in the midst of a breakdown of old systems that no longer work for us. I think we are also seeing the introduction of new ways of thinking and acting that supplant fear with compassion, secrecy with transparency, and war with peaceful cooperation. The apparently chaotic breakdown of both our physical environment and our social institutions may not be random events. And the sudden collapse of so many political and business systems seems to be more than mere coincidence. All of these events appear to be related—closely connected to each other—and necessary for us to adapt to an evolving new world energy. The old systems must fail by their own fault before the new systems can replace them. This shift in thinking and behavior is not going to happen suddenly on a given day or within a given year. These changes began three hundred years ago and it could be many more decades before they are fully realized. Within the last few years, though, we have seen a rapid acceleration of the movement toward this new order, as a majority of the world’s population becomes more enlightened and begins to think and act in new ways. Strangely, we have been told this would happen. For more than forty years we have been receiving information from unknown sources that has foretold the current weather patterns, the political upheavals, and many of the news events that surprise us daily. These messages have come to us through ordinary people who never thought of themselves as psychics or seers. Some people think this information is encoded in our genes, or coming from extraterrestrial beings. Or might it be coming from a spirit world that we cannot normally see, hear, feel, or touch? An increasing number of people around the globe believe this is so. Some, including many of our children and grandchildren, seem to be intrinsically aware of this deeper world of spirit, and far more connected to it than are their elders. We all accept the ancient scriptures that were delivered to the world by revelation to individuals. These new revelations might be coming to us in the same way from the same source. Perhaps the time has come for our society to release its hold on the purely scientific notion known as logical positivism, with its demand that we accept only that which we can measure and prove to exist. Nearly all of us worship some form of god that we cannot see, touch, measure, or define. We simply accept this belief on faith alone. Why shouldn’t we also accept that there is more to our reality than that which is clearly visible? Maybe we need to open our minds and find new ways to measure and define this experience we call life. Our earth may not be headed to destruction, but it and we appear to be going through a massive and fundamental change. Many of the old rules and the old ways of thinking and acting that have dominated our lives for millennia must be discarded. When things settle down, our physical world, our societal values, and our personal lives could be very different from what we have known. We may also find we have gained new personal insights and abilities that give us much more power to shape our individual lives and create the reality that we most desire. This is a time to challenge attitudes and beliefs that no longer work. It is also a time for celebration as we welcome a global movement toward a more peaceful, spiritual, and enlightened planet. [i] The United States, Russia, Ireland, and Great Britain all have doomsday plans that outline actions to be taken in the event of nuclear holocaust. Great Britain’s doomsday plan did not become known until June 2009. Other countries may also have similar plans. [ii] John Major Jenkins, The 2012 Story: The Myths, Fallacies, and Truth Behind the Most Intriguing Date in History (New York: Tarcher/Penguin, 2009) ISBN 978 1 58542 766 6. Daniel Pinchbeck, 2012 The Return of Quetzalcoatl (New York: Tarcher/Penguin, 2006) ISBN 1 58542 483 8. [iii] This subject is covered in detail in Lecture 8 of Professor Bart D. Ehrman’s course, The History of the Bible: The Making of the New Testament Canon, published by The Teaching Company, 2005. More information is available on The Teaching Company website at http://www.teach12.com. [iv] The full text of Nostradamus’ letter to his son can be found at http://www.crystalinks.com/nostradamus2. Copyright 2010-2012 Wesley Ewell. May not be reproduced in any form without written permission of the author.